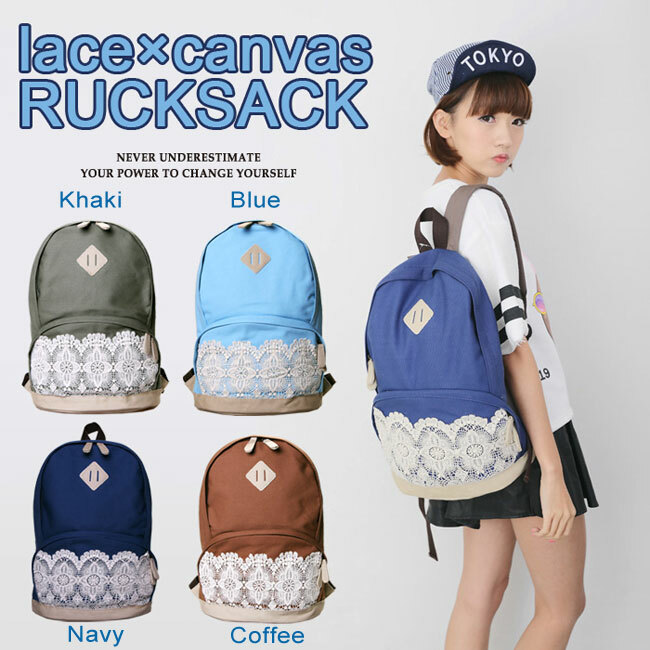 Fresh Simple Cute Lace Canvas Backpack is very fashion among the young women. This bag featuring its Lace design. It is very fashion among the young. The external design of this bag is very simple and fresh.Its external material is canvas which is in high quality and durable.The lace paterrn is firmly stitch on the bag.This bag has a rather big capacity,14-inch laptop, books, magazines and other small things can be store in it.Have one, it will lead you to the fashion way. Love it! It's spacious and stylish. I get compliments. Super nice and great price. Not too big or too small. bought this for my 7 year old daughter. It’s the prefect size for her. It’s very stylish and the material looks sustainable. Can’t be more happy with it. 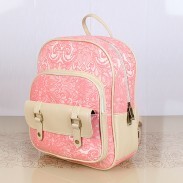 Great backpack for a variety of uses.The main compartment can hold all sorts of large objects or lots of clothes. It has a lot of compartments for items. It is reasonably priced. It is better than packs I've had at more than twice the price. I recommend this pack!! 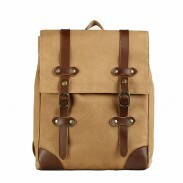 I have never bought a more stylish, comfortable, affordable, or durable backpack in my whole life. The backpack has been vigorously used by my teenage daughter for school, traveling, etc. It's been several months and the only sign of wear-and-tear is that the leather sidings on the bottom are getting a little worn, but otherwise there has been no issue at all. 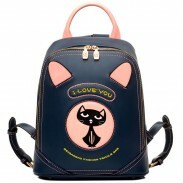 Wonderful backpack for an amazing price. do you ship internationally or only throughout the US? ByGoods Reply:Hello,we ship to all over the world. Thank you. I was wondering how comfortable the arm straps are? And can it hold my laptop and books? ByGoods Reply:Hello, this backpack's straps is wide enough. It is very comfortable. It can hold 14 inch laptop and book. thank you. I can not decide to buy the navy or blue... At last ,I choose the blue. I was wondering how long does it take to arrive and if you had the pattern backpack I can not find them anywhere. ByGoods Reply:Hello! The goods usually be arrive at 7-15 days. thank you.